Wish we had stayed at a better resort. Had great plans to go to lake beach frequently to enjoy inflatables in the water, they were not inflated most of the time. Water was so dark you couldn't see beneath the surface so did not dare go in water anyway. Was told that local wildlide was active. Beach was dirty. Pools were okay but could be kept cleaner. Noise from people overhead constantly waking us up. Called the front desk four times and they said that they would send someone out. Not sure if they did or not, but noise continued through the week. Also was called multiple times to try to persuade us to do time share presentation after we kindly asked them not to call again after first time they called. Believe that there was black mold in king bedroom shower, also reported this and no one showed up to clean it. I believe housekeeping does not to do their job very well, found a pair of woman's underwear under one of the cushions in living room chair. Over all very, very disappointed in our stay there and feel that we should receive some form of refund. Lots of activities to do. great location. breakfast area should be bigger with longer hours. We rented a 2 bedroom condo and it was beautiful. The property was extremely clean and well maintained. We loved it and will be back. It felt safe, clean and cozy. It several amenities. Property was well kept. On site food choices lacking. Nothing really unique about the property, it’s just extremely nice, clean an the staff is very friendly and helpful. Excellent location and the grounds are great for walking. Many pools, hot tubs, nice workout facility and extras like movie showings on site. There was a line to checking, upon checking was sent to the welcome center across the hall "time share". Didn't like that, since I was there for 2 nights and paid the normal price for the room.. 1 bedroom suite was comfortable and clean. Was on a first floor and porch did not have a screen. During my stayed, received a few calls to offer timeshare presentation and I was not up for it. Didn't like that either. Overall is a good resort. Located in West Kissimmee, Summer Bay Orlando by Exploria Resorts is within a 10-minute drive of Lake Davenport and Highland Reserve Golf Club. This 525-room, 3.5-star condo resort has 5 outdoor pools along with a water park and 3 restaurants. Enjoy dining at Dennys at Summer Bay, one of 3 onsite restaurants. Savor a meal from the comfort of your room with room service, or get a quick energy boost at the coffee shop/café. Each condo is air-conditioned and has an array of amenities, including a coffee maker, a phone, and an ironing board. Guests can enjoy an LED TV and stay connected with free WiFi. The bathroom offers hair dryers and free toiletries. Guests of Summer Bay Orlando by Exploria Resorts have access to 5 outdoor pools, a water park, and a children's pool. There's free parking and a free area shuttle. Multilingual staff at the 24-hour front desk can assist with securing valuables, tours or tickets, and luggage storage. Other amenities at this family-friendly condominium resort include a fitness center, 4 spa tubs, and outdoor tennis courts. Thank you for your review. We are happy you enjoyed the location and amenities. We appreciate your feedback as we are always seeking the opportunity to make enhancements. We look forward to another opportunity in the future! Thank you for your review. We are elated you enjoyed the accommodations and amenities. We appreciate your kind words regarding our team members and process as that is service we take great pride in. We sure look forward to welcoming you back in the future! Thank you for your review. We are happy you enjoyed the accommodations and the resort. We look forward to welcoming you back. Thank you for your review. We are happy you had a good stay and enjoyed the amenities, cleanliness and safety. We sure hope to welcome you back in the future! Thank you for your review. We are happy you enjoyed the resort. We appreciate your feedback as we are always seeking the opportunity to make enhancements. We hope to welcome you back in the future. We appreciate you taking the time to write a review. We look forward to welcoming you back in the future! Thank you for taking the time to write a review. We look forward to welcoming you back in the future! Dennys at Summer Bay - Restaurant serving breakfast, lunch, and dinner. Kid's menu available. Open 24 hours. Hello Coffee Shop - Coffee shop. Open daily. 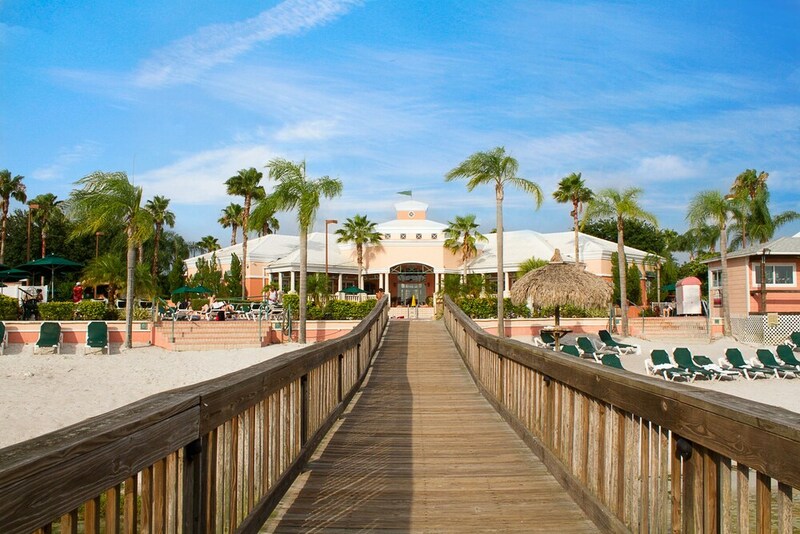 Summer Bay Orlando by Exploria Resorts features a waterpark and outdoor tennis courts. The condo resort has 5 outdoor swimming pools and 4 spa tubs. A children's pool and a fitness center are other recreation options. The following credit cards are accepted: Diners Club, Discover, Mastercard, and Visa.